Coral is "animating and life-affirming" and "energizes and enlivens with a softer edge," according to the justification of the Pantone® Color Institute for choosing 'Coral' as the color of the year 2019. 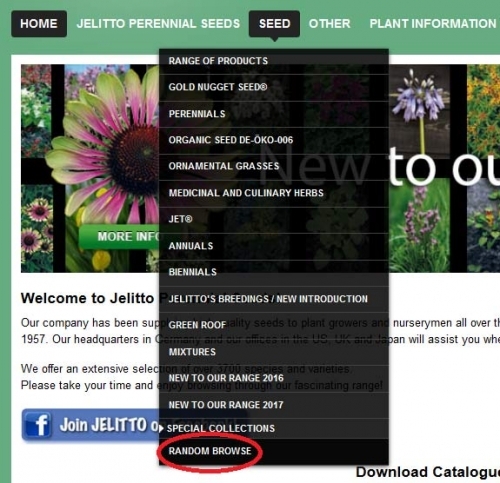 JELITTO STAUDENSAMEN GmbH has accompanied the selection of the color of the year in recent years with a selection of matching flowers. Again this year we would like to offer a suitable selection. An approach to this color of the year can be found quite well in the flowers of our assortment. You will find a selection in the following. A complete overview of all purple flowers in our assortment can be found here. The International Hardy Plant Union (ISU) is the organizer of a trial for new breedings of hardy perennials. At the ISU Summer Days 2018 in Poland 10 breeders sent in a total of 121 new perennials. An international commission examines the perennials for winter hardiness, vitality, growth and aesthetics. The Echinacea purpurea 'Green Twister' from JELITTO STAUDENSAMEN GmbH has convinced in trial and has been awarded the ISU Award. An award of this kind is the successful completion of many years of breeding work. After the discovery of the seedling on a field of crops, the Echinacea was specifically bred to uniform growth and hardiness. The effort for a true seed strain is considerable large. Over a period of several years, suitable plants from constantly new sowings are valuated and selected in outdoor overwintering crops. We are very happy after so many years of selection of Echinacea 'Green Twister' to receive the ISU Award of the International Hardy Plant Union. 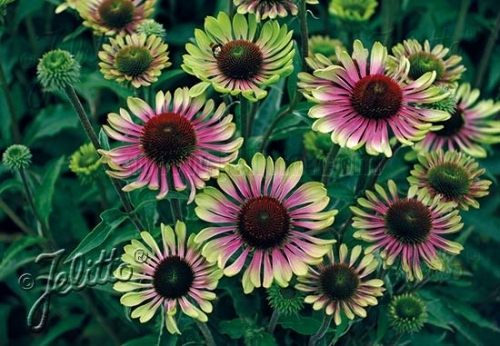 Echinacea 'Green Twister' and all other hardy Echinacea species and variaties. 3700 hardy perennials, kitchen herbs and ornamental grasses in stock. to explore the large number of species and varieties. it will be without great effort to scroll through the images. Quantity Unit changes for Gold Nugget Seeds! Please order Gold Nugget Seed in number of seeds only. There are no 1000 seed units prepacked! Each order is weighed individually. You are welcome to order any amount, ie. 700 seeds or 15 200 seeds. Please bear in mind our minimum quantity per item. Minimum charge per item 2 € net, price will be rounded up accordingly. The 'Advanced Search' has been improved. The new button is accesable next to the common search. Check it out!